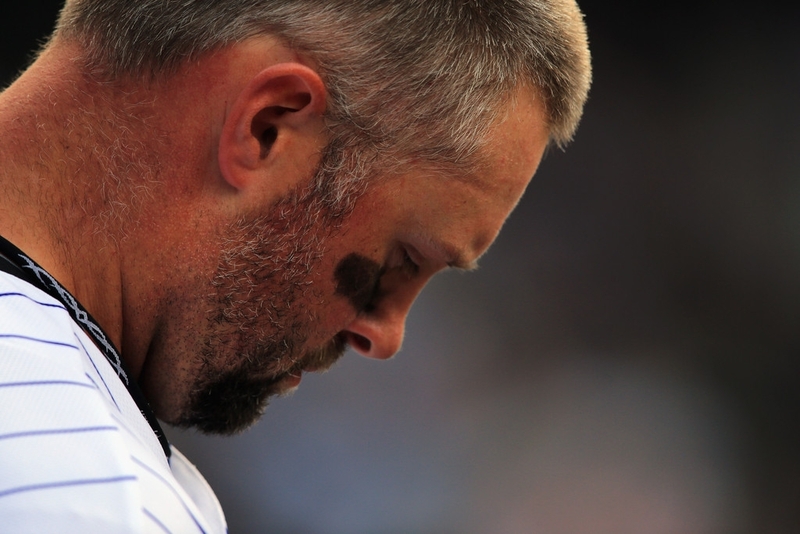 Michael Cuddyer #3 of the Colorado Rockies looks on from the dugout against the Arizona Diamondbacks at Coors Field on April 21, 2013 in Denver, Colorado. The Diamondbacks defeated the Rockies 5-4. - high-definition photo for free download.